Finding an excellent new SUV to take home soon is no easy feat. While there are numerous smaller SUVs that may offer the passenger seating space and the cargo space that you need, you may also be concerned about other factors. Safety, style, performance and overall vehicle features are understandably top concerns as well. After all, you want to love all aspects of the next vehicle that you purchase. When you compare the leading contenders at the top of your list, the 2018 Jeep Compass and the 2018 Kia Sportage are two SUVs that you want to compare more closely. 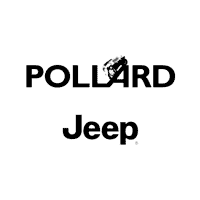 If you are ready to compare the Compass vs the Sportage, a visit to Pollard Jeep serving Boulder Longmont Fort Collins is great way to learn more. Jeep is a brand that is known for its rugged, durable performance. The Compass has all of the hardwearing capabilities that other models from this automaker have, but it also has a smoothness on the road that makes it ideal for daily commutes. Specifically, the base model is sold with a 2.4-liter, four-cylinder Multi-Air engine and a six-speed manual transmission. It comes with an all-wheel drive drivetrain as well. Many variations are available to choose from, including a nine-speed automatic transmission with four-wheel drive. The KIA Sportage is sold with a four-cylinder, 2.4-liter GDI engine along with all-wheel drive and a six-speed automatic transmission featuring overdrive and Sportmatic. Both have almost identical horsepower and torque ratings. The differences that you will notice are in the suspension as well as the price tag. The base price for the Compass is noticeably more affordable, and the suspension is designed for daily commuting as well as weekend adventures. 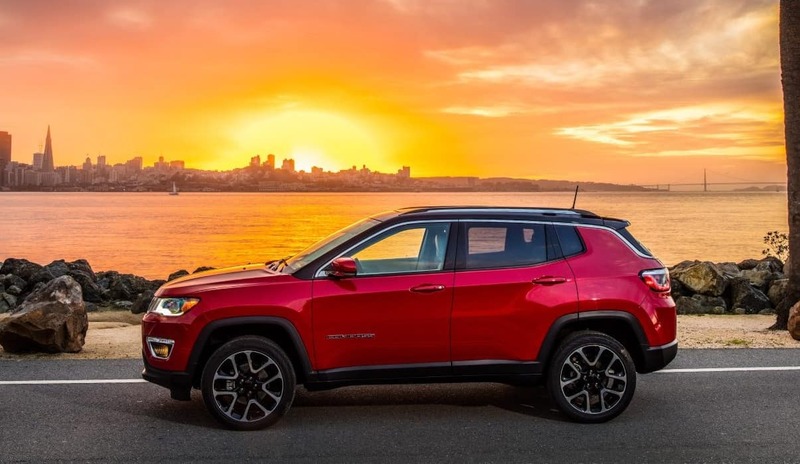 When you visit our Boulder Jeep dealership to check out the 2018 Jeep Compass in person, you will see that the Compass is available in numerous stylish colors that include classics as well as bolder options. The vehicle has a signature Jeep grille that bends gracefully into the flanking headlights and into the sloping hood. The unique profile of the Compass gives it an athletic, capable look. The 2018 Sportage has mostly similar dimensions as the Compass, but its profile is strikingly different. The grille stands out less and is not a prominent exterior feature. The hood line rises more sharply, and the entire profile is more rounded. This creates an almost wagon-like appearance that looks less athletic than the Compass. The style of the interior of both of these smaller SUVs is relatively similar, and cloth material is standard in the base model of both vehicles. 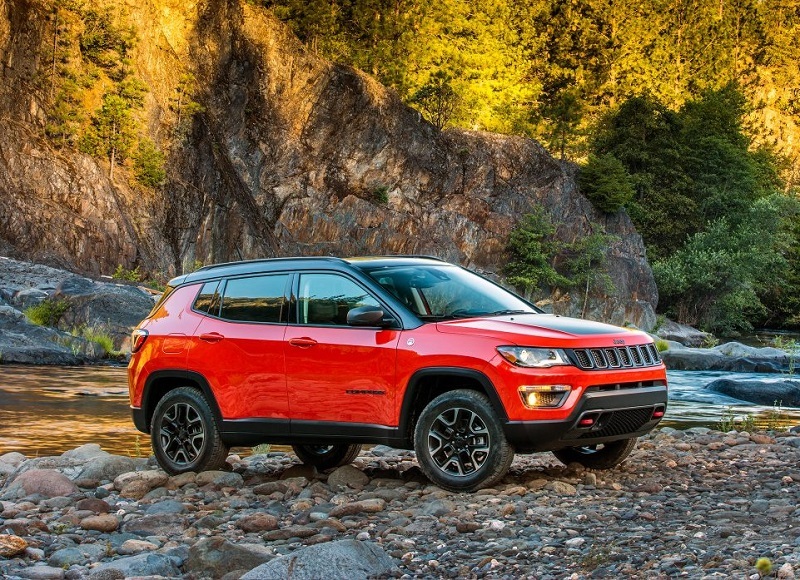 At our Boulder Jeep dealership, you can admire the differences in person. Going up to the highest trim level, the Compass as a conventional-use spare tire, and the Sportage only has a limited-use spare tire as standard equipment. Some of the other features that are standard or optional in both of these SUVs are a power sunroof, leather seating, a premium sound system and a navigation system. When you take a closer look at the Compass vs the Sportage for 2018, you may be interested to learn which base features are standard with these models. The base models are both equally well-equipped. Standard equipment for both includes climate control, cruise control, power windows and door locks, a standard sound system with an optional upgrade available, a 12-volt power outlet, a folding split rear seat, remote keyless entry, a rear window defroster, a communications system and more. The Jeep SUV also comes with a standard 115-volt power outlet, which is not an option with the KIA SUV. The Sportage, on the other hand, comes with a standard power driver’s seat, which is an option with the base model of the Compass. 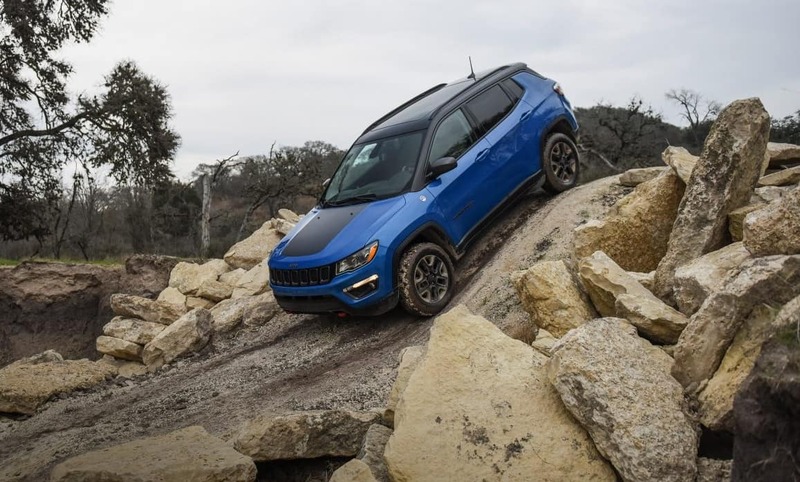 When you visit our Boulder Jeep dealership in person, you can compare trim levels of the Compass against those of the Sportage to get a better idea of the differences. Now that you know more about the similarities and differences between the 2018 Kia Sportage and the 2018 Jeep Compass, you can see that there are some exceptional similarities between the base models. The differences are more pronounced when you look at more advanced trim levels. Remember that the base Compass is substantially more affordable than the base Sportage. 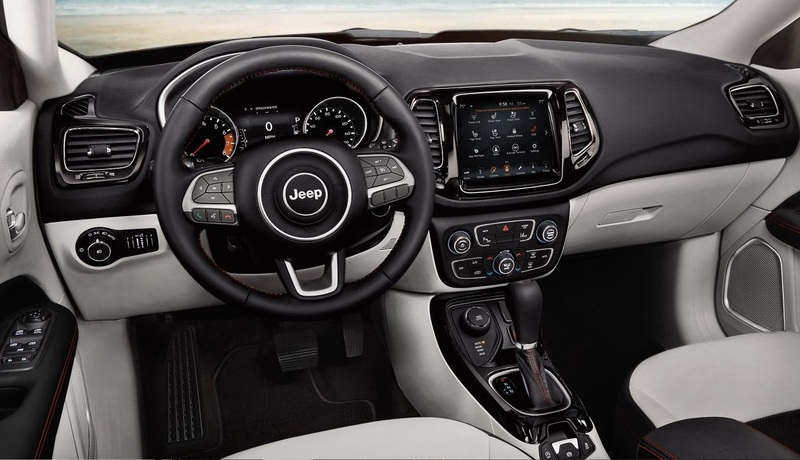 Before you finalize your plans to buy a new SUV, a great idea is to head to Pollard Jeep serving Boulder Longmont Fort Collins to take several trim levels for a test drive. You can stop by our local dealership in the Boulder area at your convenience, or you can request an appointment online or by calling us directly.